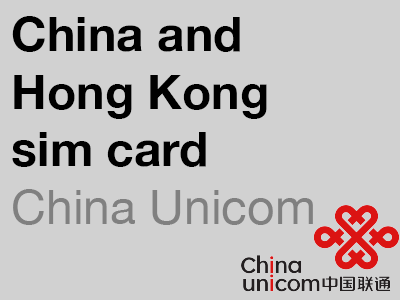 A UK sim card is essential for anyone visiting the UK. It means that you can make phone calls and access mobile data for the same price as someone living the United Kingdom as opposed to the more expensive roaming rates you would be charged if you kept your regular sim card in your phone. You need to pay for your month of mobile service (£20) in addition to the £3 cost of your sim card. This means that your cost to get started is £23. The 8GB UK & International Bundle tariff has a monthly cost of £20. This means that you need to top up at least £20 credit before you can start using your mobile service. The minimum cost to get started (including the cost of your SIM card with international delivery plus the cost of one month of service) is £23. Your service is good for one month from the date you add at least £20 credit (to pay for your month of service) and your service will roll over to another month as long as there is another £20 credit in your prepaid balance to pay for the next month. Your monthly service costs £20. This means that if you top up with £25, your remaining balance will be £5 (after O2 take payment for your service) but you will have use of the included calls and data until the start of the next month of service. As long as your month is paid for, it is OK if you account balance is zero. Your mobile service renews at the same date each month. For instance if you start using your service on 23 January, your next month will start on 23 February. This means that it is slightly better value in October compared with February. Premium calls and calls to countries outside the 44 countries that your inclusive call value is valid for incur an additional charge and you need to top up additional credit to cover these charges. Once your monthly mobile service has been paid for you can make calls from your 1000 minute call allowance even if your prepaid credit balance is zero. Premium numbers are not included in your inclusive call value. This includes numbers beginning with 0871 that are used many hotel chains (including Premier Inn and Travelodge). While using your phone on O2’s network in the United Kingdom, it is cheap to call other countries that are not included in your inclusive call bundle. However, you will need to top up a little extra credit to cover the cost of these calls. While it is unlikely that you will need to call the Channel Islands (Jersey and Guernsey) or the Isle of Man, we include rates to these countries as there are several roaming travel sim cards that are advertised as having UK phone numbers but actually have Jersey phone numbers, which are much more expensive to call (despite sharing the +44 country code with the UK). 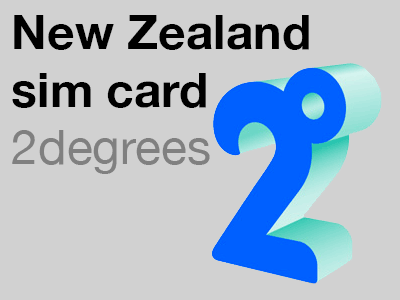 If you’re travelling with someone with one of these sim cards it is a good idea to encourage them to buy an O2 sim instead so you can call each other using your inclusive call minutes. You need to top up additional credit to cover the cost of international calls to countries that are not included in your inclusive call bundle. To choose the first option, simply top up enough credit to pay for your second month and when your first month has finished O2 will deduct £20 from your prepaid credit balance to pay for your next month. If you do this before your first month has finished, any unused data will roll over to the next month. Because call charges are much more expensive if you choose the second option, this is only recommended if you are only going to be staying a few days longer than a month. If you do this, we recommend using an app such as Rebtel or Skype to make any calls. Your inclusive call value is good for calls to standard landline and mobile numbers in the United Kingdom. This is any UK number beginning in 01, 02, 03 and 07* as well as 0800 and 0808 (freephone) numbers but it does not include non-geographic service numbers and other premium numbers. Numbers starting with 08 (except 0800 and 0808 freephone numbers), 09 and 118 are charged at a higher rate than regular phone numbers. Numbers beginning with 08 are a little bit like 1300 numbers in Australia where a lot of people think that they are free but they are actually considerably more expensive than standard phone calls. These numbers are charged in two parts: the access charge (which goes to your phone company) and the service charge (which usually goes to the company you are calling but sometimes goes to the company they got the premium number from). O2’s access charge is 55p/minute and the service charge varies from nothing to 13p per minute bringing the maximum charge to call these numbers to 68p. Many service numbers are used by companies that need a non-geographic number that is not tied to a specific area so they can advertise one number nationwide that is diverted to the branch closest to the customer but some of these numbers are used by companies that simply want to either avoid talking to their customers or make a little more profit from each inbound phone call. Numbers beginning with 03 are similar to 08 numbers in that they are non-geographic numbers but these are the same price as a regular phone call and you can call these for free using your 1000 inclusive call minutes. Some companies serving tourists (for instance easyJet and the YHA) have transitioned to 03 numbers to make it easier and cheaper for their customers to call them but other companies (like Ryanair, Premier Inn and Travelodge) still use expensive 0871 phone numbers. You may want to top up a little more than the £20 cost of your monthly service if you want to call premium numbers such as numbers starting in 0871 which are used by many hotels (including Premier Inn and Travelodge). Topping up £25 will give you an extra £5 to use to make these calls. *Numbers beginning in 070 have a much higher charge than regular mobile numbers as do mobile numbers in the Channel Islands and the Isle of Man (which look similar to UK mobile numbers). It is unlikely that you will call one of these numbers but if you get a message saying that you don’t have enough credit to call a number starting with 07, that would be the reason. You will need extra credit in your prepaid balance to dial 101 (the non-emergency police number). 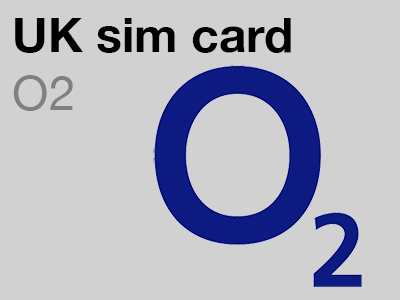 The O2 UK sim card is a great option for use throughout Europe as roaming rates are very reasonable in the following countries: Austria, Belgium, Bulgaria, Croatia, Cyprus*, Czech Republic, Denmark, Estonia, Finland, France, French Guiana, Germany, Gibraltar, Greece, Guadeloupe, Hungary, Iceland, Ireland, Italy, Latvia, Liechtenstein, Lithuania, Luxembourg, Malta, Martinique, the Netherlands, Norway, Poland, Portugal, Reunion and Mayotte, Romania, Saint Barthelemy (St Barts), St Martin, San Marino, Slovakia, Slovenia, Spain, Sweden and the Vatican City. It is easy to set up your O2 UK sim card. It already comes with a mobile phone number and is already set up on a tariff that includes a bundle of calls and data. All you need to do is arrive in the UK, pop the sim card in your phone and add at least £20 credit. Your first use of this sim card must be on O2’s network in the United Kingdom. You can buy top-up vouchers from most convenience stores, newsagents, petrol stations, pharmacies, post offices and supermarkets in the UK. Simply ask the cashier for an O2 top up voucher and you will get a printed voucher with a 16-digit top-up PIN.When you ask for your top-up voucher you need to specify which network you want it for (O2) and the value of the voucher (at least £20). We recommend topping up a little more than the £20 minimum and adding £25 will give you an extra £5 credit for those times when you may need to make a call that is not included as part of your inclusive call value.Virtually all airport terminals in the United Kingdom have branches of Boots the chemist and WHSmith newsagents, which both sell top-up vouchers. Look for one of these two shops when you arrive at the airport and you’ll have your top-up voucher in no time. 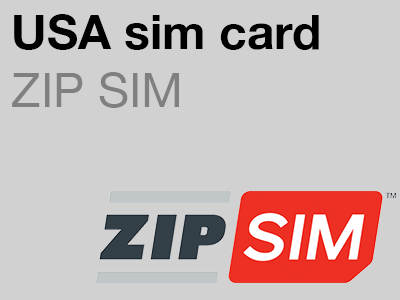 Your O2 SIM card is a tri-cut sim that millwork in all phones. You need to pop out the right size to fit your phone. Call 4444 from your phone and follow the prompts. A recorded voice will ask if you are topping up with a credit card or voucher (choose voucher) and you will then be asked to enter the 16-digit top-up PIN that is printed on the top-up voucher. Tourists visiting the United Kingdom cannot top up directly with O2 using their credit card as O2’s website and telephone support will not accept credit cards issued outside the UK. However, it is no problem using your credit card to buy a voucher from a physical location. You can do all this within 5–10 minutes of clearing immigration and customs. Is it possible to top up this sim card outside the United Kingdom? Because this is a UK sim card, you can only buy credit at shops in the United Kingdom but you can also top up online. If you have a UK credit card (a credit card issued by a UK bank with a UK billing address) you can buy credit online directly from O2 and if you don’t have a UK credit card you can top up online at mobiletopup.co.uk. 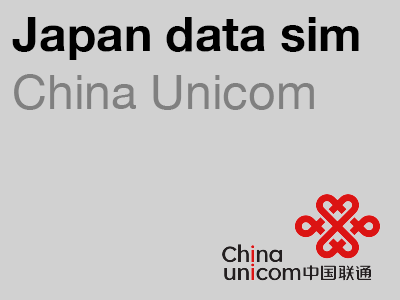 Can this sim card be used in data-only devices? This sim card is designed for use in a mobile phone and cannot be used in data-only devices such as tablets or pocket Wi-Fi devices. You need to visit a mobile phone shop in the UK to buy a data-only sim card to use in a tablet or similar data-only device. Yes. Unlike many other European prepaid mobile services, O2 let you tether (use your phone as a mobile Wi-Fi hotspot). This wasn’t always the case and up until early 2017 this was a service restricted to customers on contract, but now all O2 customers including prepaid customers can use their phone as a mobile hotspot. Do I need to register my service and do I need to provide ID? No. There is no requirement to register your service or show identification when activating a new mobile phone service in the United Kingdom. Simply put it in an unlocked phone, turn it on when you arrive in the UK, add at least £20 credit and it is ready to go. Yes. Your phone must always be unlocked before using a sim card from a different network. Nowadays, many phones are sold already unlocked but it is best to check that your phone is unlocked prior to travelling. If you’re on a contract, most networks will unlock your phone and many will do this free of charge. These cheap European roaming rates are a result of a European Union regulation that requires that EU mobile companies do not charge high roaming fees when their customers travel in other EU countries and there is a chance that these cheap European roaming rates may be discontinued when the United Kingdom leaves the European Union. How much does it cost to post this sim card? The £3 cost of this sim card includes worldwide delivery. 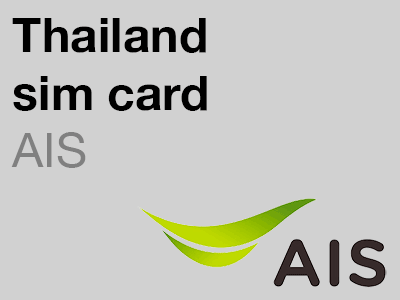 These sim cards are posted from Australia (most of our other sim cards are posted from Nottingham in the UK). The reason for this is that this makes delivery times much quicker for our customers living in Australia, New Zealand, Malaysia and Singapore and the delivery time between Australia and North America is more or less the same as having the sim cards posted from the UK. People already in the UK can get this sim card quicker by popping into a local shop and European residents will usually have cheap roaming to the UK as part of their mobile plan. It is posted as a standard air mail letter, and the delivery is not trackable. Delivery usually takes around a week, but it is best to allow two weeks or longer in case of any delays in the postal service. Can you recommend any resources for my UK trip? I’m glad you asked. We recently launched englandrover.com, a new online travel guide to England. If you trip is focused on England take a look at our new site for independent advice about accommodation, sightseeing and transport options in England. We are happy to answer any specific enquiries about travel in England on the England Rover Facebook page.